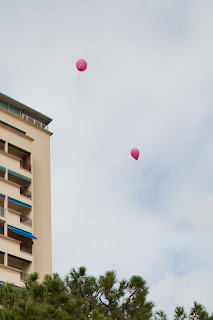 Pink balloons soar up into the sky above Port Hercule. 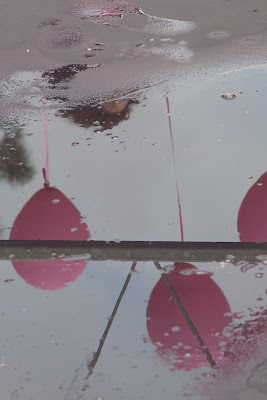 The Pink Ribbon Walk is over - a great success. All that remains is lunch...and a glass of bubbly. I might like that reflection shot even more than the one for April 1, which I adore! Beautiful work as always, beautiful Jilly!